Added on Wed, 01 Feb 2012 15:59:22 -0800. Normal service is resumed as theOneliner lads fire up the comment cannon and unleash a barrage on War Horse, The Artist, Hugo, Mission: Impossible - Ghost Protocol, and Sherlock Holmes: Game of Shadows. Who will cover themselves in glory, and who will leave the field on a stretcher? Find out in this exciting podcastisode. 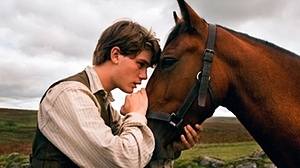 Steven Spielberg has returned unto us, this time on his War Horse. Following a thoroughbred horse that is sent from rural Devon to a British army that hadn't updated their tactics in a few hundred years, the horse is traded around armies and free folk as the Great War ebbs and flows around it. Unfortunately it's much less interesting than its epic setting should demand, reducing to a series of competent vignettes that don't add up to much of a story. In a fair world, this would not be talked of for any awards bar "Most Schmaltzy". More awards baiting with The Artist, a film composed almost completely of gimmick. Telling the tale of a silent film star who refuses to go on to these newfangled "talkies" and his subsequent decline, the twist here is that it's told as a black and white, silent film itself. Now, if one were to remove this ultimately pointless antediluvian differentiation then the central story certainly wouldn't have anyone pointing at this and shouting "Oscar", which for me is enough to tell that it's not worth the plaudits heaped on it. However, it is difficult to work up any bile for the film as it's so charming throughout. I enjoyed this, but it's not going on any of my "best film" lists. The unconventionally punctuated Mission: Impossible - Ghost Protocol sees Tom Cruise returning, this time fighting against all odds to clear his team's collective name of a terrorist attack on the Kremlin and catch the nutter responsible, who's also planning on starting a nuclear war for ill-defined reasons. Brad Bird does a good job of keeping the action flowing, the settings are lavish and the addition of Jeremey Renner to the cast adds a bit of heft to proceedings. It's the best of the MI bunch, although it's not straying far from its glossy, popcorn-munching roots. 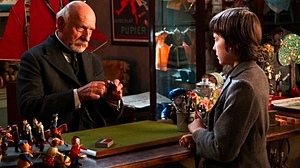 Hugo sees Martin Scorsese try his hand at family film-making, with impressive results. It's nominally covering the tale of Hugo, charged with winding the clocks of a train station, his relationship with a young girl and the mysteries of a clockwork automaton given to Hugo by his now deceased father. Like The Artist, it's a love letter to cinema of times past and will prove rewarding for anyone with any love of cinema, and crucially the central story is actually quite good as well. There's something unusual about Sherlock Holmes: Game of Shadows, namely that it's a rare instance of the sequel being better than its predecessor. 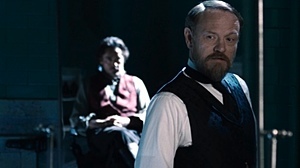 Robert Downey Jr. and Jude Law return to lock wits with Jared Harris' Professor Moriarty, who is up to no good whatsoever. It shares the same knockabout ethos of both the earlier film and Guy Ritchie's earlier films, and thanks to the great chemistry between the leads remains enormously entertaining throughout. While it's not high art, it's as much outright fun as I've had in a cinema lately. That, dear listeners, is your lot. If you want more, you'll have to come back in a couple of weeks, chummer.